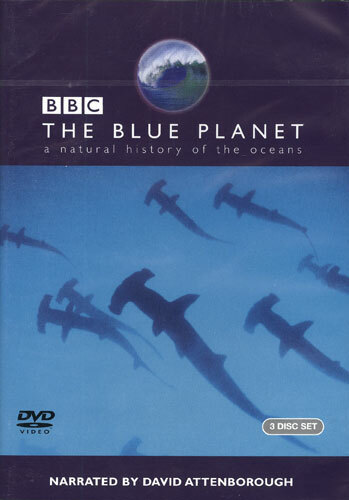 The Blue Planet is the first ever comprehensive series on the natural history of the world's oceans. Narrated by David Attenborough, the extraordinary images of this marine epic reveal the sea at its most fearsome and alluring, exposing some of its best kept secrets. Enter a world of breathtaking beauty and discover new species, visit unseen habitats and witness stories of survival never caught on camera before. Accompanied by a superb soundtrack from the award-winning composer George Fenton, this DVD is further enhanced by the technical brilliance of the film and sound quality. BBC DVD 3 Disc Set.